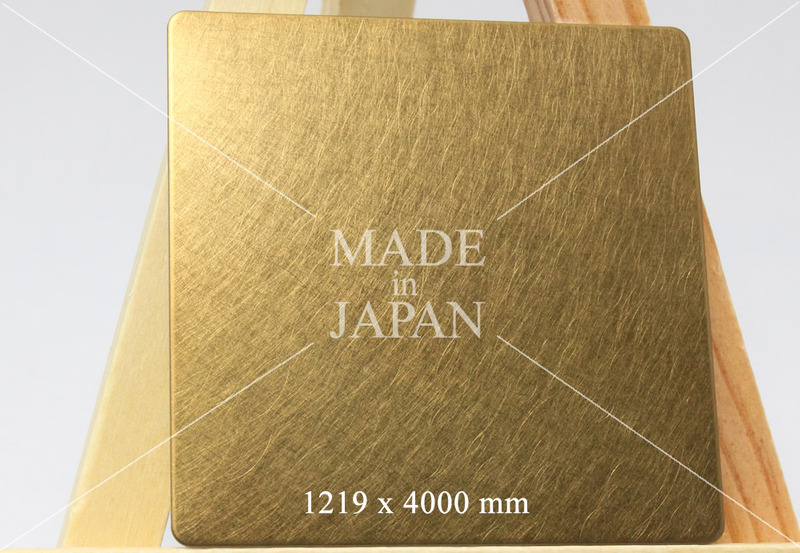 This titanium gold color on a stainless steel sheet is developed by Sputtering Coloring process. TITANIUM GOLD color is one of the most popular and standard colors as stainless material of architectures. * Beautiful crystal looking color developed by coating with ceramics such as titanic nitride and carbide, – Not painted color. * This method produce uniform and consistent color on stainless steel sheets.